At present SATs are something that have to be done. However, in addition to the revision lessons, the breakfast clubs and whatever else your school makes use of, we present a slightly different approach. 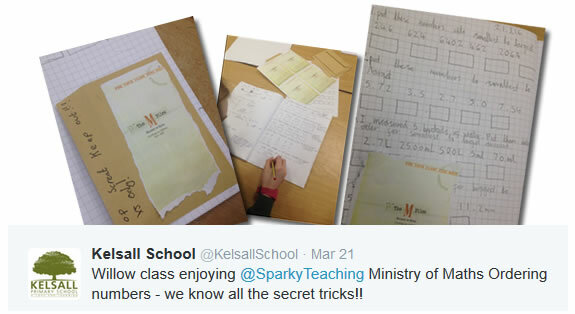 Our SATs Pack contains innovative ways to teach SPaG skills through the medium of a 50s Private Eye and approach maths questions from the point of view of the evil 'Ministry of Maths' who write them! It contains revision tips cards with a twist and two resources to show your students that they are more than the test scores they achieve. 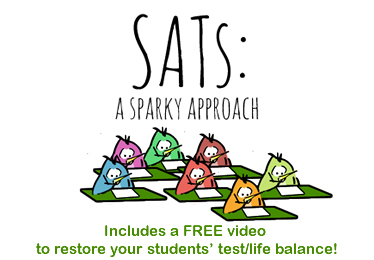 These are unique approaches to SATs preparation. Yes, we have to do them, but no one says we can't prepare with a bit of spark. Spelling, Punctuation and Grammar through the medium of a 50s detective agency. You can find out more about this resource here. The Ministry of Maths are the malicious individuals who write SATs questions (allegedly!). This popular resource is our way of approaching maths questions. You can find out more about this resource here. SHINE! was designed to show your students that they are more than the sum of their test scores. You can find out more about this resource here. 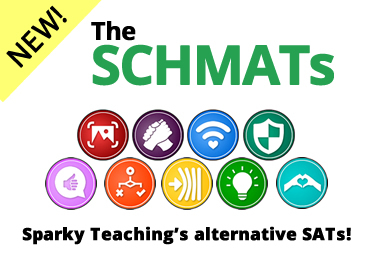 Use either of the Paypal buttons on this page to pay the £36.99 for the SATs Pack (RRP £49, currently 25% less!). When we have processed your payment, we will send you an email containing the three download links for The M Files, The League of Literacy and SHINE! We will also let you know when you can expect your cards to arrive.